Geocaching is a global phenomenon where people hide various items around the country in buckets buried in the ground and then publish the exact latitude and longitude on the web. Other sick folks (like me!) looks these up and find them using the new Global Positioning Satellite receivers (now available for $100) try to find them. Go to geocaching.com, type in your area code, and see if one is near you! It's a great way to see things you would have otherwise missed. While traveling, I try to find a nearby geocache. In May 2011, I found a geocache in Alaska and so I've now found a cache in each of the 50 states! Here are Eric and Craig at N 42o 43' 11.8" W 073o 53' 13.7", our first find on some land between Schenectady and Albany. 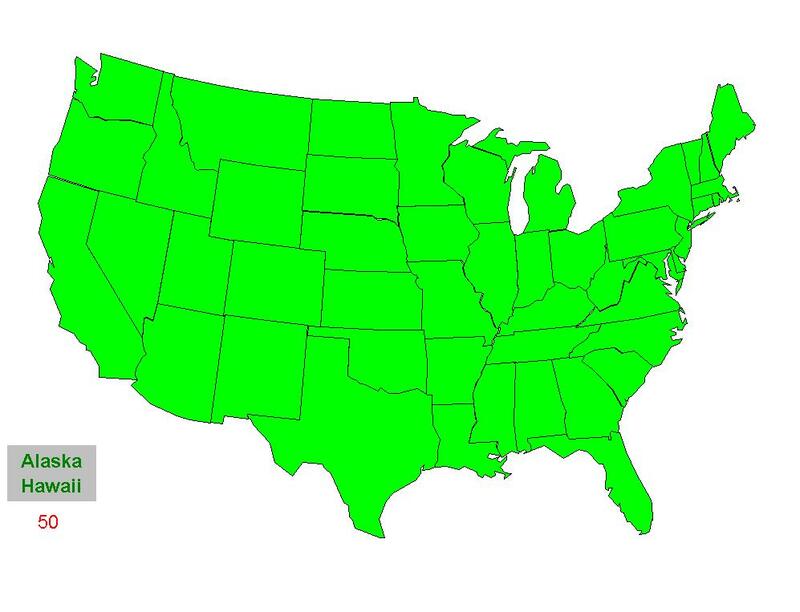 And the map showing in green all the states I've done.